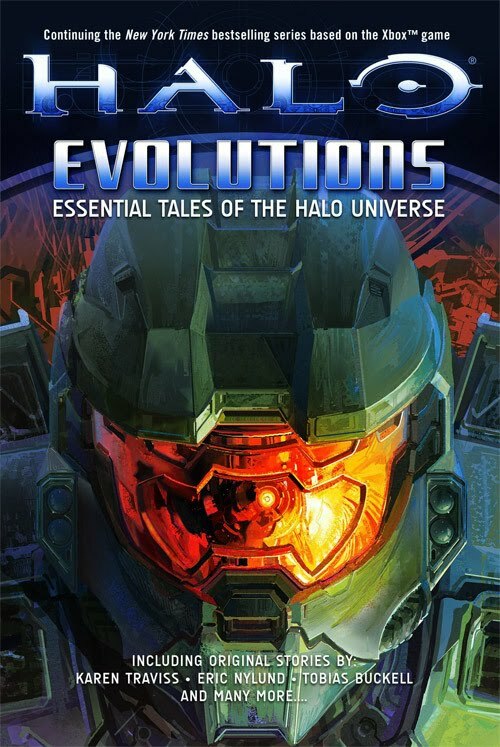 Halo: Evolutions, released on November 24th 2009, is an extended written look at the Haloverse through the eyes of some very popular science fiction and fantasy authors and some key members of Microsoft's 343 Industries's staff. Is that a Monitor of a Halo Installation in the Chief's reflection? On the author side, the Halo fans get stories from the writer of Star Wars: Republic Commando fame Karen Traviss, The Last Days author B.K. Evenson, and esteemed comic book writer Fred Van Lente. To cap it all off, Eric Nyland who wrote the first halo Novel, The Fall of Reach also gets another crack at Halo. I wondered earlier if the Halo universe was getting too full. This Halo: Evolutions book is an example of that concern. But who am I kidding? More Halo? Bring it on! The 343 Industries is the Microsoft team in charge of all things Halo. From this team, managing editor Kevin Grace, and Robert McLees, a writer on the first three Halo games as well as the upcoming Halo: Reach have all contributed stories to Halo: Evolutions. And yay! Frankie is having a go as well. Fans are being promised a look at "some awesome new stuff that wander into unexplored territory of the Halo mythos."